The Reuters Institute for the Study of Journalism at the University of Oxford is seeking abstracts of papers for possible presentation at its conference, “Local journalism around the world: professional practices, economic foundations, and political implications,” February 27-28, 2014. Most journalism is practiced—and most news media organizations are based—at the local level. 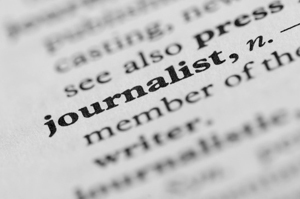 Yet journalism studies overwhelmingly focus on national and international journalism and most debates over the future of journalism remains oriented towards a limited number of exceptional and often nationally or internationally-oriented news media organizations. This focus threatens to undermine our ability to understand journalism and its role in society. The conference will focus on local journalism around the world, exploring professional practices, economic foundations, and the social and political implications of local journalism as it is actually practiced today. 300-500 word abstracts outlining the topic, methodological and theoretical approach and empirical basis should be submitted by October 13, 2013. Notification of selected abstracts will be made by October 31, 2013.